Superb cottage with beautiful views. Very cosy with lovely furnishings throughout. Perfectly comfortable beds with high quality bedding. Excellent property & great owners in fantastic location. Fair to say, everything. Cottage is in a fantastic location...private and close to main street. The cottage itself is very nautical and surprisingly like a tardis inside. 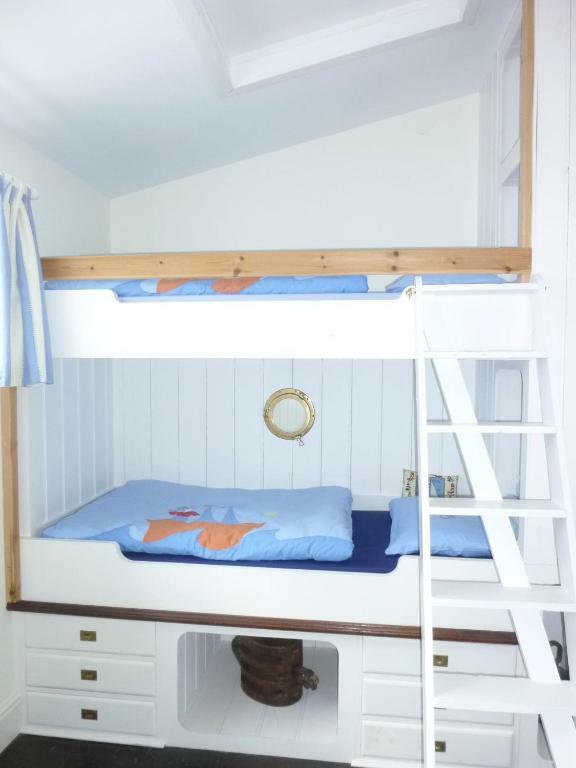 The Bunks in the children's room are a fun idea and nearly had me moving out of the Master bedroom. Kitchen is well equipped and lounge is basic but homely. I could not recommend enough and feel u could not be disappointed if looking for a kitch, quaint, hideaway. Love the decking area.. the location. Comfortable home from home Cottage. Everything nearby. Will be back in the future. We loved the quaint cottage with the nautical theme. It was very convenient for the beach and local ammenities. The bed was comfortable and on the whole the house was well equipped. Lovely cottage, lovely patio and outdoor space, lovely location, great shower and comfortable bed. 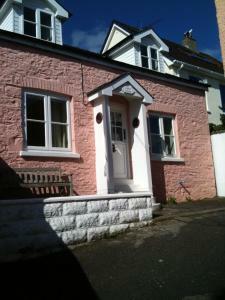 Fantastic location, cottage very clean, fully equipped with everything we needed for our stay and more. Very comfortable beds, spacious rooms, ideal for families. 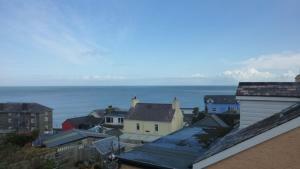 Beautiful sea view, whilst having breakfast in the morning on the patio, we're able to watch dolphins. Definitely will stay here again. Lovely place with everything you need. Highly recommended. The location is right in the heart of the villlage. The cottage is really homely and the facilities are really good. We had an amazing weekend. This is our second trip here and it did not disappoint. Oyster Cottage was clean and tidy. It had everything that we required. Lock in a great price for Oyster Cottage – rated 9.3 by recent guests! 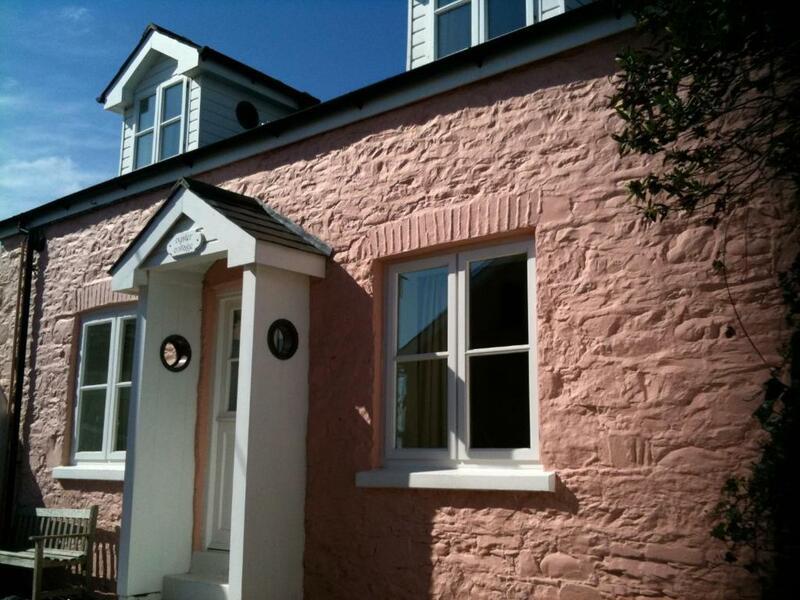 One of our best sellers in New Quay! A former blacksmith’s shop in the seaside village of New Quay, Oyster Cottage lies around 7 miles west of Aberaeron on the Ceredigion coast. 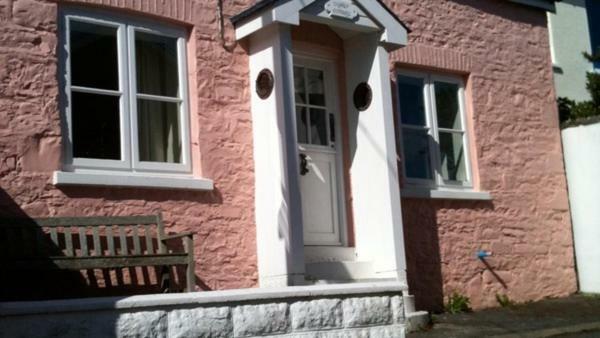 Just 2 minutes’ walk from the beach, the cottage has sea views and provides free WiFi. The master bedroom features an antique brass king-size bed and built-in wardrobe, and is complemented by a second single bedroom and a twin bedroom with bunk beds. There is a bathroom with a double-ended bath and separate shower. The cottage has a lounge with flat-screen TV, a dining area and fully equipped kitchen with a range cooker, microwave, fridge freezer and dishwasher. There is also a patio with a barbecue and outdoor furniture. 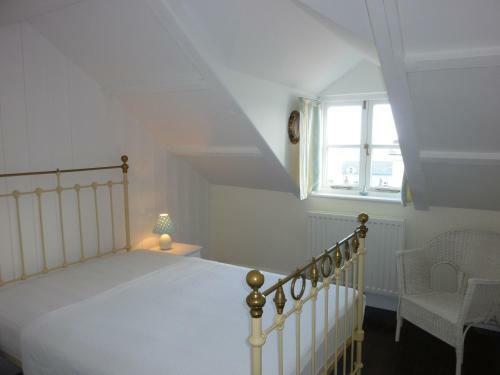 There is oil-fired central heating, and linens, towels and electricity are included. 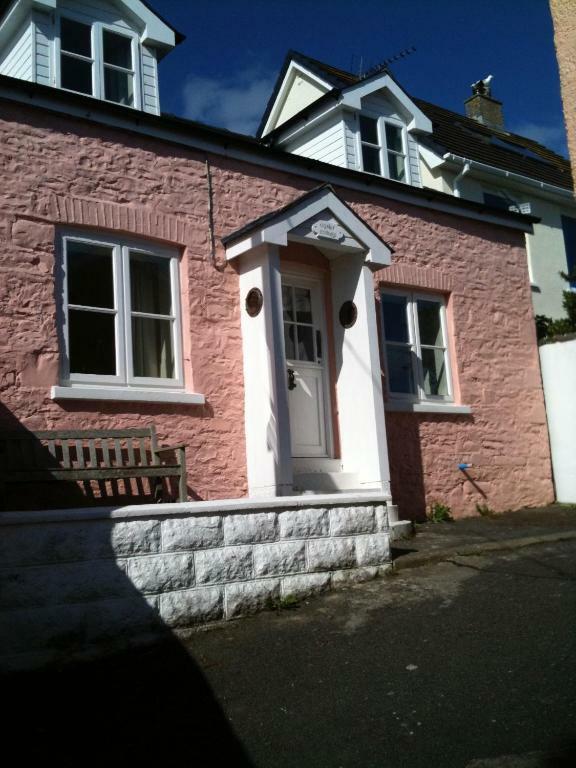 New Quay is close to many local cycling and walking routes, and Oyster Cottage also provides storage for bikes. The area is also a popular choice for sailing holidays and dolphin watching, with the Cardigan Bay Marine Wildlife Center just 2 minutes’ walk from the cottage. This property also has one of the top-rated locations in New Quay! Guests are happier about it compared to other properties in the area. 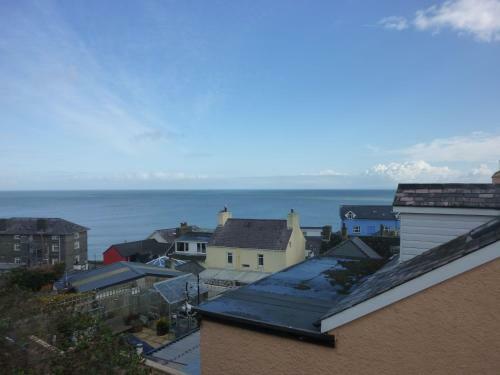 This property is also rated for the best value in New Quay! Guests are getting more for their money when compared to other properties in this city. 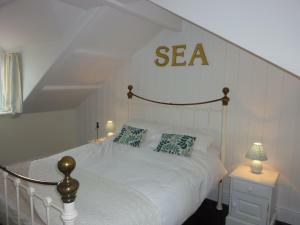 When would you like to stay at Oyster Cottage? This cottage has a double, single and twin bedroom, and a patio with a barbecue and outdoor seating. House Rules Oyster Cottage takes special requests – add in the next step! Oyster Cottage accepts these cards and reserves the right to temporarily hold an amount prior to arrival. Payment is to be arranged with the owners either via bank transfer or check. Please inform Oyster Cottage of your expected arrival time in advance. You can use the Special Requests box when booking, or contact the property directly using the contact details in your confirmation. There is not much to dislike. Water pressure in bath was a bit low, if you wanted to be extra picky. But honestly is a delightful, hideaway. It wont stop us returning but renovations a few feet away ..which was a pity.. but wont last forever! Blood stains on the pirate duvet pillow. Glad I took my toddlers own pillow with him. The sofas are dated and uncomfortable. Needs a house manual. The front door needs fixing. You can hear it moving quite a lot during the night when it's windy. Everything else was emaculate, very good facilities. My toddler loved the pirate bunk bed. Booking advertised a BBQ outside; there was a BBQ under the decking but was in no fit state to use. Thankfully we weren’t planning on having a BBQ but other people may be expecting to have one. Also couldn’t park outside the property but that’s due to the roads being very narrow. Wouldn’t penalise the property for that. The bed was a little lumpy but this really was a minor point. A mirror in all the bedrooms and upstairs toilet.